133 Regatta Drive Jupiter, Fl 33477 has been sold. COME BUILD YOUR DREAM HOME OR UPDATE THIS PATIO HOME ON A SPECTACULAR OVERSIZED LOT IN PRESTIGIOUS ADMIRAL'S COVE. THIS PROPERTY OFFERS BREATHTAKING VIEWS WITH WATER ALONG THE NORTH AND EAST SIDE OF THE PROPERTY. THE LOT IS 0.48 ACRES AND HAS A NEIGHBOR ON THE SOUTH SIDE OF THE PROPERTY ONLY. PULL YOUR BOAT RIGHT UP TO YOUR PRIVATE DOCK. FULL GOLF MEMBERSHIP REQUIRED. 133 Regatta Drive located in Jupiter, FL is a single family home with 3 bedrooms, 3 full baths and 1 half baths.The Home at 133 Regatta Drive was built in 1988 in Admirals Cove and offers a 2.5 car garage. This Admirals Cove Home offers pool, golf course, boating, tennis, bike - jog, clubhouse, basketball, exercise room, game room, spa-hot tub, picnic area, putting green, street lights. 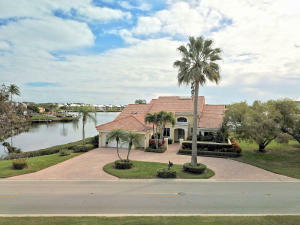 133 Regatta Drive Jupiter, Fl is currently listed for $2,290,000 under the MLS# RX-10501384. This Home has been put on the Jupiter MLS system and currently has a status of SLD. Admirals Cove in Jupiter is really a wonderful community in a great city. If you like the beautiful Jupiter location but you are not sure about this community. You might like one of the other local communities like Ocean Parks or Via Del Mar or River or Jupiter River Estates or Hidden Bridge that are located here.